Asana is an online application that helps teams manage their projects and track its progress. As more people and organizations adopt it as a business solution, more feedback and requests also are given to improve it. As of August 2018, new features are now available to customers with its latest release. They cover a wide range of areas, from boards and tasks, to custom fields and mobile apps. 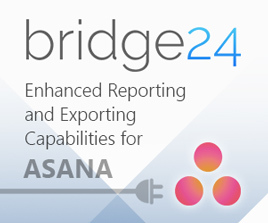 For a powerful reporting and exporting tool for Asana, give our own tool Bridge24 for Asana a try, or access it in their own Integration page. The Board layout is one of the views available in Asana. 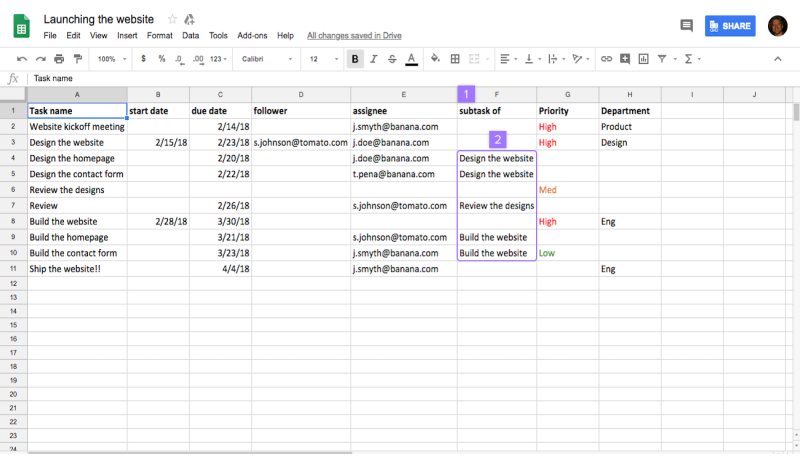 It allows users to organize work and move it across columns. They can quickly see an overview and its progress as tasks move from one phase to the next. With the latest release, they can now drag multiple cards simultaneously to another column. Users just have to press Cmd or Ctrl and click on the multiple tasks on the board. Then, they can drag these cards together to another column. Another new feature is the Advanced Search by Board column. They can find tasks in specific columns of their Board projects. Using the Advanced Search tool, users first have to click on the arrow icon next to the board project. From there, they can select a column. Second step is to click the Search button. 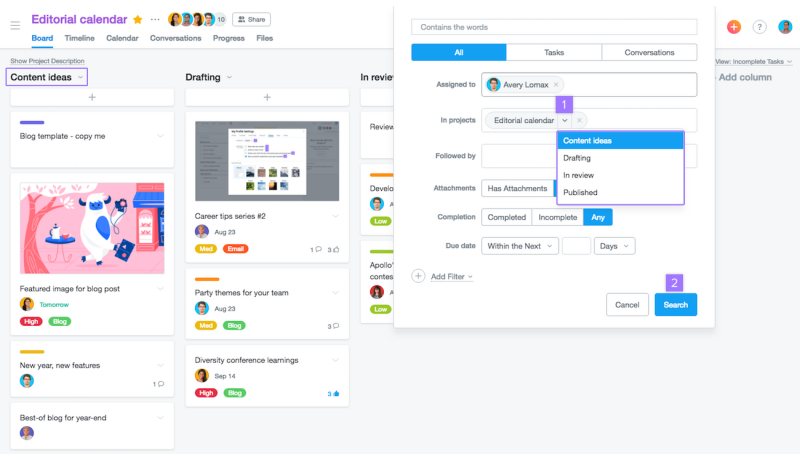 This August 2018 release of Asana also includes several features for tasks. For instance, when scrolling horizontally in Timeline, task names now follow in the display. Thus, it remains clear for users what tasks they are looking at as they navigate across their Timeline. In dependencies, tasks that are dependent on another task will show a visual indicator. This indicator appears in projects and My Tasks. It enables the user to quickly see what tasks can get started, and which ones are still blocked. Another new feature is on recurring tasks. If the original task has a specific start date, recurring tasks will automatically have start dates as well. Timeline, task dependencies, and start dates are available only to customers with Premium account. The latest release includes an improvement to the CSV Importer feature. 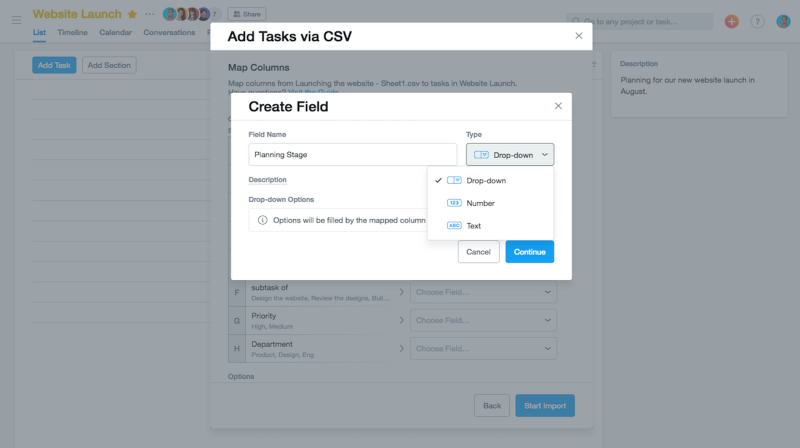 It is a feature that helps users move their workflow out of a spreadsheet software and into Asana. The improvement now allows users to add custom fields from the CSV Importer. They can select existing custom fields from the dropdown. In case of new custom fields, they can also create them directly from the Importer tool. Moreover, they can also import subtasks to a project via the CSV Importer. First, users need to create a new column called ‘subtask of’ in their spreadsheet. Second, they should fill in this column with the name of the task in the corresponding row. The Asana update also includes a new dialog for comment-only projects. Comment-only permissions for projects allow users to view or comment on projects without giving them edit access. This is a Premium feature. Comment-only users will now see in a project member’s dialog who has edit access to the project. This will give them the ability to adjust their notification preferences. And regarding notification, it is now easier to find and understand notification settings. This enables users to customize how they receive information. The August 2018 release also contains several new features for the iOS app. First, a photo markup is now available. 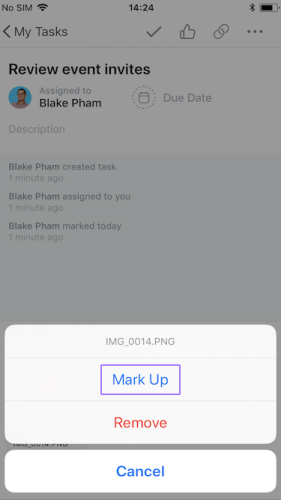 This allows users to draw, write doodles, or place text on any photo before adding it to Asana. Also, rich text support allows them to quickly create bullet or number lists with indentations. Another feature is improvement on task edit. Users just need to tap to edit different sections of the task details. This improvement helps streamline how they update tasks while on the go. For more information on the latest release, upcoming features and other announcements, visit Asana also on their Facebook, Twitter, LinkedIn or YouTube page.